Axis Marquees is a new and innovative company tailoring to all expectations and functions. Our Marquees are the latest designs in technology and are manufactured in compliance with EU manufacturing and safety standards. Our marquees are a mixture of FastFrame, Oriental canopies and traditional Multispan structures. 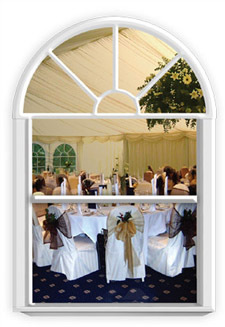 Combined with superb interior finishings, Axis Marquees create both a professional and elegant atmosphere.